Spring is still about a month away, but green things are starting to pop up in the produce aisle and this week my grocery store has a big display of rapini (a.k.a. broccoli rabe). While I love this green simply steamed, or sauteed with a bit of garlic, it also makes for a stunning pasta. Like broccoli, rapini is a member of the Brassicaceae family, but despite the small flowering heads that may resemble broccoli, rapini is actually a closer relative of the turnip. That’s probably why it’s known as cime di rapa (tops of turnip) in parts of Italy. Rapini both looks and tastes like spring, with its prominent mustard flavor and mild bitterness, but when chopped up and sauteed with some buttery olive oil and umami rich anchovy, it creates a balanced pasta “sauce” that tastes much more complex than its rustic look implies. 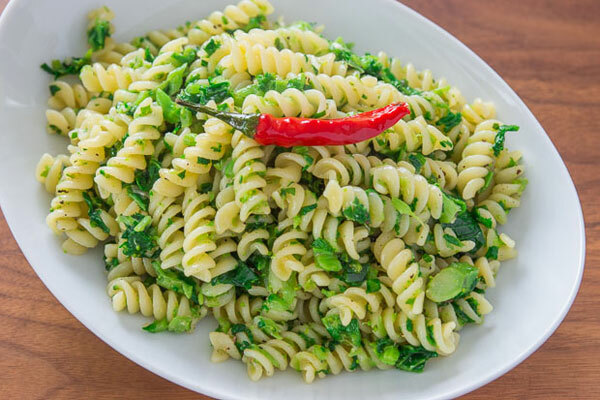 Although this pasta is traditionally made with Orecchiette, I’m not a huge fan of Orecchiette (unless it’s fresh), which is why I chose to use Fusilli in my version of this Puglian classic. 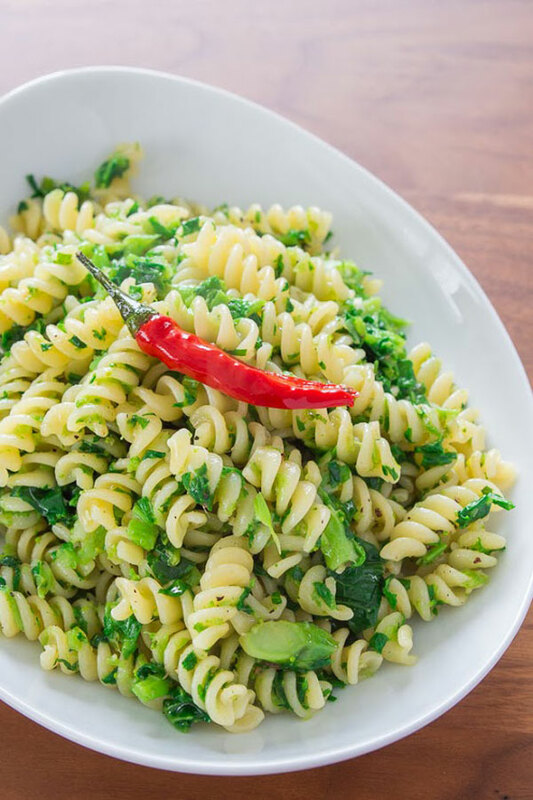 By cooking the rapini with the pasta, you not only save a pot, you also get some of the flavor of the greens into the pasta itself. This recipe is timed so that the garlic and anchovies are started about a minute before the pasta is done. Since you don’t want to get the garlic too brown, you’ll need to chop up the rapini as soon as it comes out of the boiling water. If you have more delicate hands, you may want to hold off on starting the garlic until after the rapini has cooled slightly (but don’t wait too long or the pasta will stick together). Whatever you do, don’t run the rapini and pasta under cold water, or you’ll wash away all the flavor. Substitute Fusilli for the traditional Orecchiette in this recipe from food blogger Marc Matsumoto of the Fresh Tastes blog. Remove any tough leaves from the rapini and trim the tough ends off. Bring a large pot of well salted water to a boil. 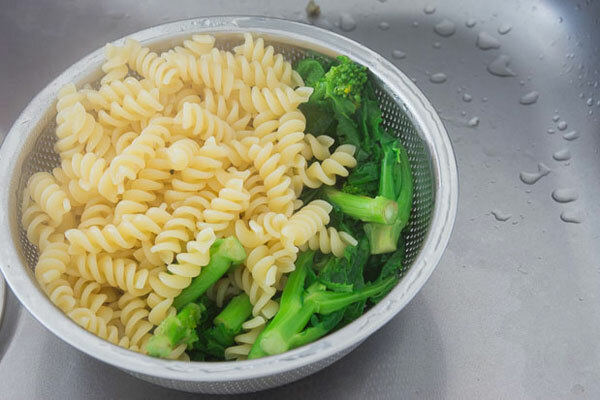 Boil the fusilli according to the package directions, but about 3 minutes before it's done, add the rapini so that they finish together. 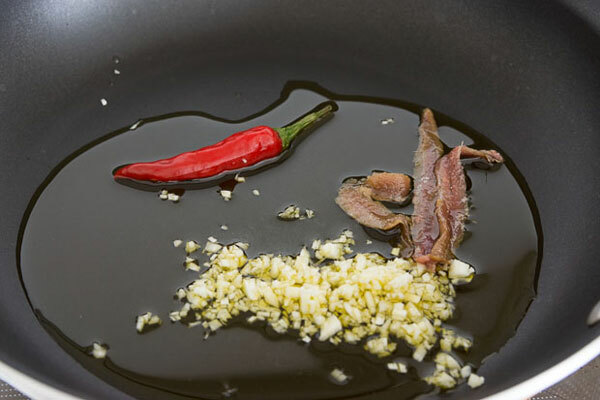 About a minute before the pasta is done, heat a large saute pan over medium high heat and add the olive oil, garlic, chili pepper and anchovy fillets. 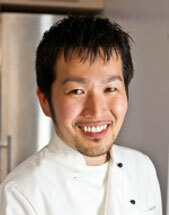 Fry, breaking up the anchovy until it dissolves into the oil. When the pasta is done, drain it and quickly transfer the rapini to a cutting board. Chop the rapini up into relatively small pieces. Add the rapini into the pan with the garlic and quickly saute before adding the pasta and tossing to coat evenly. If your pasta water was salted sufficiently you shouldn't need to add any salt, but give it a taste and adjust accordingly. What’s the Perfect Movie Companion? Salted Caramel Popcorn!